Why is everyone Scottish on CBeebies? He’s had that dictionary for weeks. Still can’t speak a word of French. Yes, CBeebies is teaching children that the world is full of friendly Scottish people with entirely comprehensible accents. Cartoons have come under fire for portraying male role models negatively. But what about female role models? I decided to take a closer look at CBeebies. But not in our house. In fact the only time I have ever watched what’s on the screen I saw the Tweenies playing with Jimmy Savile. So no cause for concern there then. Well hello Nina and the Neurons! I like to think of Nina and the Neurons as the mastermind (mistressmind?) behind the whole Scottish children’s telly mafia. I hope that Nina inspires a generation of new female scientists and when my children are older the shorthand look for a science geek is a young woman in a white coat with bunches, green eye shadow and a massive grin. From the wonderful Nina to the downright dreadful Grandpa In My Pocket. Jason lives with his Granddad (James Bolam on his day off from New Tricks). Each show Jason is visited by a friend or family member who is a massive pain in the arse. Jason and Grandpa decide to teach guest pain in the arse a lesson. Oh and when Grandpa puts on his cap he shrinks and has magic powers. The show claims to teach children about teamwork and the bond between grandparents. So why haven’t Jason and Grandpa let Jason’s sister Jemima in on the big secret? He is her grandpa too. She loves singing, dancing and acting and has hopes of being a movie star or a famous pop singer. She can be a bit of a drama queen, with a tendency to over-react to situations, but she is entirely charming and lovable. She spends hours choosing her clothes whenever she’s going anywhere and is always monopolising the bathroom and experimenting with her hair. She loves pink and all her birthday presents are pink. Yes, Jemima is a charming, tantrum throwing, pink obsessed bell end. At least Daddy Pig and Homer Simpson are enjoyable to watch. Here’s a crazy suggestion for Jason – If all your friends are annoying and rude why not make some new ones? If I ever spot Grandpa is his shrunken state it won’t be my pocket he’ll be going in it will be the bin. The one with all the stinky nappies in it. Time to cheer us all up. I bloody love Octonauts…. almost as much as my daughter does. Barnacles! Kwazii! Peso! The other five! Recently Mr Eeh Bah stated how pleased he is about this because Octonauts is a boy’s programme. This is why I think it is important to be a feminist because even perfectly normal well educated people can occasionally say dumb things about gender stereotyping. According to the Beeb the show teaches children about the world around them, which is a bit odd as the Octonauts live underwater and travel around in floating aquatic vehicles. We live in Yorkshire and drive a Golf. But I have a 2 year old who knows more about sea creatures than I do, who wants to explore, rescue and protect and who cries because she’s not allowed a real dolphin in the bath. Which I think means that CBeebies is doing a pretty good job. Never bring CBeebies into the bedroom. 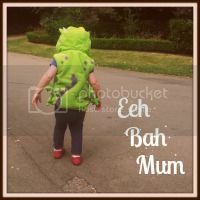 This entry was posted in children, family, funny, humor, parenting and tagged cbeebies, children, funny, grandpa in my pocket, humor, james bolam, justin fletcher, mr bloom, nina and the neurons, Octonauts, parenting, scottish people on tv. Maths and all things numerical have been delegated to the man of the house. He’s also got dealing with teenage issues as I’ve taken on toddler behavioural problems. So, you too know of the Scottish mafia on CBeebies?! Ha! What I am more concerned about is that the green chick from Ballamory, nutty Granny Murray and all the characters from Me Too are top morons and always screw things up. There was even one episode where the doctor “forgot” to eat…. I want my daughter to think adults are competent, rational, intelligent beings. At least until she grows up and finds this isn’t true for herself. haha my daughter has already worked that out so I’ve got nothing to prove! Just don’t tweet about your loathing for Grandpa In My Pocket, they get quite huffy with you! We’re an Octonauts obsessed house too, DD has loved it since she was about 2 (in a couple of weeks she’ll be 4, and getting the only remaining Octonauts toys she doesn’t have). Apart from being educational DH & I like it because there are a couple of strong female characters – the IT specialist and the engineer. Mr Bloom gives me a case of the Jimmy Savilles every time he says to Joan the Potato, “Alright my dear, haven’t you grown?” with that lecherous wink. Should have used that line in the bedroom! Granny Murray is average age for a granny from Glasgow. As Kevin Bridges says, it’s the only place 3 generations get on the bus for a half fare…..